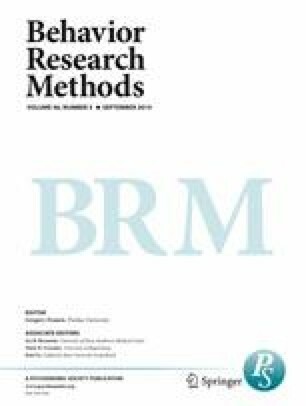 We developed affective norms for 1,121 Italian words in order to provide researchers with a highly controlled tool for the study of verbal processing. This database was developed from translations of the 1,034 English words present in the Affective Norms for English Words (ANEW; Bradley & Lang, 1999) and from words taken from Italian semantic norms (Montefinese, Ambrosini, Fairfield, & Mammarella, Behavior Research Methods, 45, 440–461, 2013). Participants evaluated valence, arousal, and dominance using the Self-Assessment Manikin (SAM) in a Web survey procedure. Participants also provided evaluations of three subjective psycholinguistic indexes (familiarity, imageability, and concreteness), and five objective psycholinguistic indexes (e.g., word frequency) were also included in the resulting database in order to further characterize the Italian words. We obtained a typical quadratic relation between valence and arousal, in line with previous findings. We also tested the reliability of the present ANEW adaptation for Italian by comparing it to previous affective databases and performing split-half correlations for each variable. We found high split-half correlations within our sample and high correlations between our ratings and those of previous studies, confirming the validity of the adaptation of ANEW for Italian. This database of affective norms provides a tool for future research about the effects of emotion on human cognition. The online version of this article (doi: 10.3758/s13428-013-0405-3) contains supplementary material, which is available to authorized users.